How Safe are BPA-Free Plastic Products? A few years ago, my wife made the move to make sure our family used only “BPA-free” plastic products—but are BPA-free plastics really safe? It was a huge relief to my wife to make this change, because rumors and news reports about dangerous chemicals in certain products were concerning, to say the least. But a CNN report I read a couple of weeks ago about a new study has me thinking: are the alternative products we’re using just as dangerous as the originals? One big ongoing health debate in America—and around the world—is about the safety of common forms of plastic. Plastic is in virtually everything you touch. Your grandkids’ toys are virtually all plastic. Plastic is in your clothing. It encases the water you drink and many of the foods you purchase. For years, the fears about the safety of these products have revolved around a chemical used to harden plastic called “bisphenol A” (the “BPA” in those “BPA-free” labels). Various researchers have found that BPA can lead to birth defects, cause problems with brain and reproductive development, increase neural cell growth, trigger early puberty, and increase the risk for breast and prostate cancers. Despite all this, the U.S. Food and Drug Administration (FDA) and several other governing bodies have declared the chemical safe for adult humans. BPA has been banned in baby bottles and toys, but that’s about it. Now, maybe this is because of weak science or maybe because banning BPA would be a huge blow to big oil; either way, this is a huge point of contention. Regardless of the FDA’s stance, BPA-free products have become popular in the marketplace. You’ll see food containers, water bottles, and other products claiming to be made without BPA. And there have been other studies with similar results. 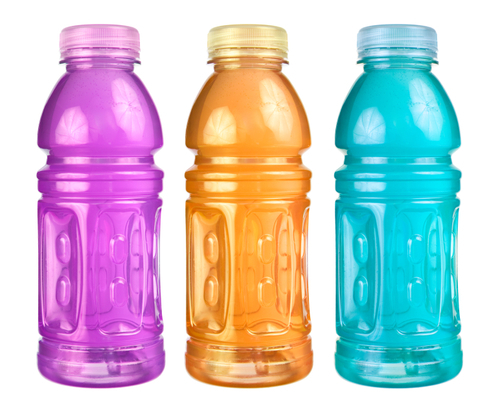 The most common BPA replacement is bisphenol S (BPS). But now the recent research from UCLA and other studies is saying that BPS could have negative effects on cellular growth, function, and lifespan and could cause possible birth defects, hyperactivity, heart arrhythmia, and problems with thyroid function. Like BPA, it could also trigger abnormal neural cell growth; in fact, BPS was found to cause much more growth of this kind. Why do I keep mentioning neural cell growth? Because it can lead to cancer. Even though all the results I’ve seen come from animal studies, it’s still worth talking about them. You need to realize that just because your water bottle or food container is “BPA-free,” it may not guarantee safety. Instead, you might want to avoid using plastics for food and water altogether. As far as water bottles go, you can opt for a stainless steel model that will be clear of any BPs. For food storage and transport, you can try glass or ceramic. It might not be the most convenient, but the reality is that the optimal healthy lifestyle rarely is! Qiu, W., et al., “Actions of Bisphenol A and Bisphenol S on the Reproductive Neuroendocrine System During Early Development in Zebrafish,” Endocrinology, 2015; doi: http://dx.doi.org/10.1210/en.2015-1785, last accessed February 16, 2016. LaMotte, S., “BPA-free plastic alternatives may not be safe as you think,” CNN web site, February 1, 2016; http://www.cnn.com/2016/02/01/health/bpa-free-alternatives-may-not-be-safe/index.html, last accessed February 16, 2016.